Why is Yandex asking me to change my password? Just select an account in Passport and on other Yandex services that support this function. The account you select will be the main one and will be used to log in to services that currently don't allow you to switch between accounts. You can add up to 15 accounts to the list. To delete an account from the list, switch to that account and click Log out. That account will disappear from the list and you will automatically be logged in to the next one. Note. 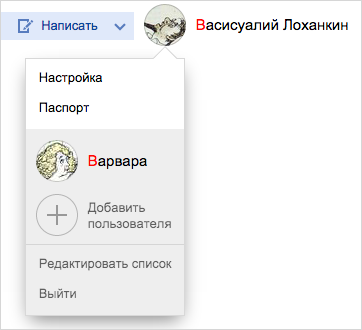 The Log out link on the Yandex main page and in the search results will clear all accounts from the list. To continue working you will need to log in again. To remove several accounts, go to Add account and click Edit list. When you open a Yandex service, you have to re-enter the password only if you didn't visit Yandex services for three months. This is convenient for personal or home computers, but can be dangerous on public computers (for example, in an internet cafe): if you forget to log out of your account, the next person with the same computer will get access to your data. To secure your account on someone else's computer, use incognito mode in the browser. Turn off the autofill and passwords saving options. Before you start working, clear the cache and delete cookies. Log out of your account — click your portrait in the upper right corner and choose Log out in the drop-down menu. Clear the cache again and delete the cookie files. If you forgot to log out of your account on someone else's device, follow the Log out on all devices link on the Account management page. No matter how good your password is, someone can still look over your shoulder or steal it (such as with a virus). To protect your account, you can choose to use one-time passwords exclusively. You can learn more about one-time passwords and two-factor authentication in the Two-factor authentication section.